Phinisinews - (Reuter) An Indonesian court jailed a woman for 20 years on Thursday for murdering her college friend by poisoning her coffee, ending a dramatic case that gripped the country for months. Foto : Jessica Kumala Wongso, who is accused of murdering her friend by poisoning her coffee with cyanide, gestures after her trial at the Central Jakarta Court in Jakarta, Indonesia. Jessica Kumala Wongso, 27, an Indonesian citizen and permanent resident of Australia, remained expressionless while hearing the verdict and sentence. "The defendant has been proven guilty of premeditated murder," presiding judge Kisworo said to applause from a packed courtroom without suggesting a motive. "...The murder was vile and sadistic because the defendant did it to her own friend." Wongso told the three-judge panel she thought the verdict was "unfair and one-sided". Defense lawyers said she would appeal. The two women had been meeting at a cafe in a central Jakarta mall when victim Wayan Mirna Salihin took a sip of a cyanide-laced drink, collapsed on the floor and went into convulsions, according to prosecutors. She died by the time she arrived at hospital. Dozens of police were positioned around the Central Jakarta courtroom as crowds scrambled to get in to hear the verdict. 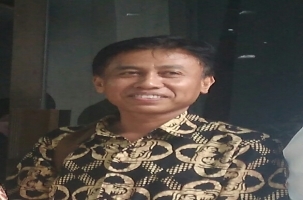 The trial had heard testimony from a string of forensic and psychological experts and the case has generated headlines since Wongso was arrested earlier this year. President Joko Widodo's administration waded into the case, saying Wongso would not be executed if she got the death penalty, according to media. The deal was made with Australia in order for Australian police to assist in the investigation. Australia does not have the death sentence and opposes its use in other countries.